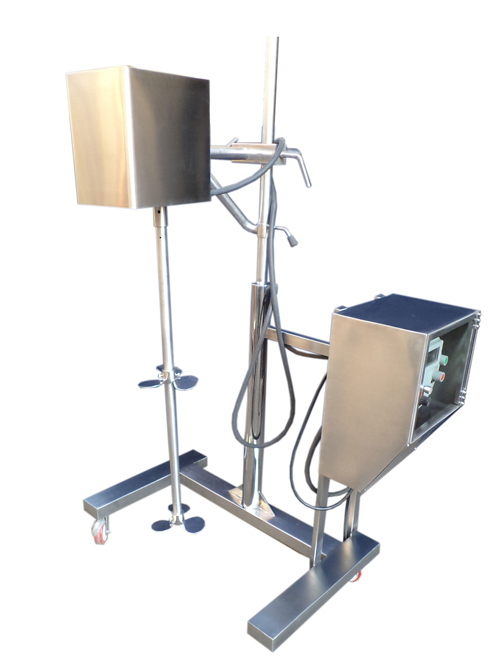 SANITT is the leading manufacturer, exporter and supplier of LIQUID MIXING STIRRER which is widely used for mixing or blending small batches of liquid and slurring like aerosols, shampoo, fragrance grease, pigments, beverages, and many others. This LIQUID MIXING STIRRER used in Food, Chemical, Pharmaceutical and Paint Industries. Liquid Mixing Stirrer is designed using best raw materials and modern technology which gives high performance, smooth functionality, superior quality and easy usage.